This month, Central Wisconsin students traveled to Panama City Beach, Florida to share their faith with spring breakers. 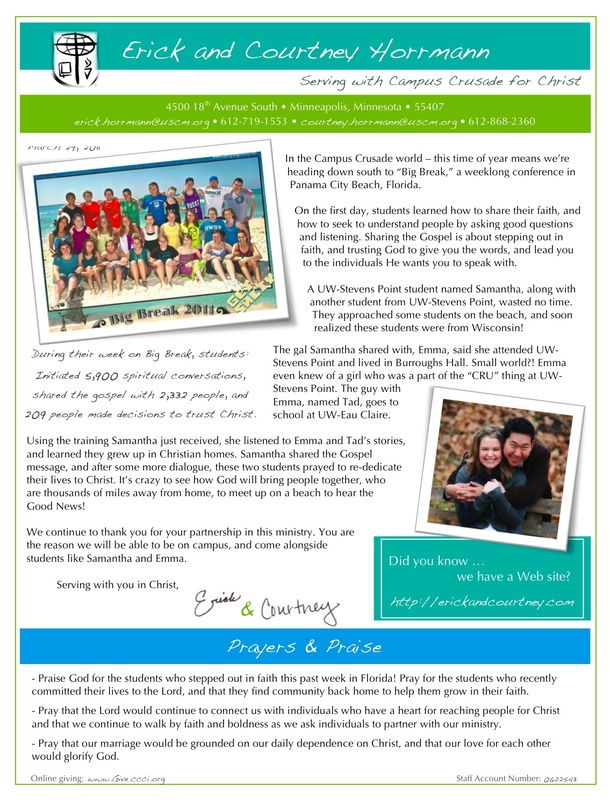 Check out this month’s letter to read more about their adventures at “Big Break”! !